Scientists say their testing approach may also provide for early detection that would keep production on track. [dropcap style=”font-size: 60px; color: #9b9b9b;”]U[/dropcap]O and Oregon State University scientists were baffled. New testing of mixtures of nanoparticles had led to an 88 percent mortality rate in zebrafish embryos, after earlier testing had found the materials to be free of toxins. Looking more extensively, they found that a new automated delivery system, meant to speed the mixing of products for testing in the fish, created a synergistic, or multiplying, effect that triggered the toxicity. The method used to analyze what was happening, it turns out, could provide a solution that could keep the nanotechnology field moving forward, said study co-author Jim Hutchison of the UO Department of Chemistry and Biochemistry. While it isn’t clear that the new-found toxicity affecting zebrafish poses a threat to human health, the four-member research team said caution is necessary. 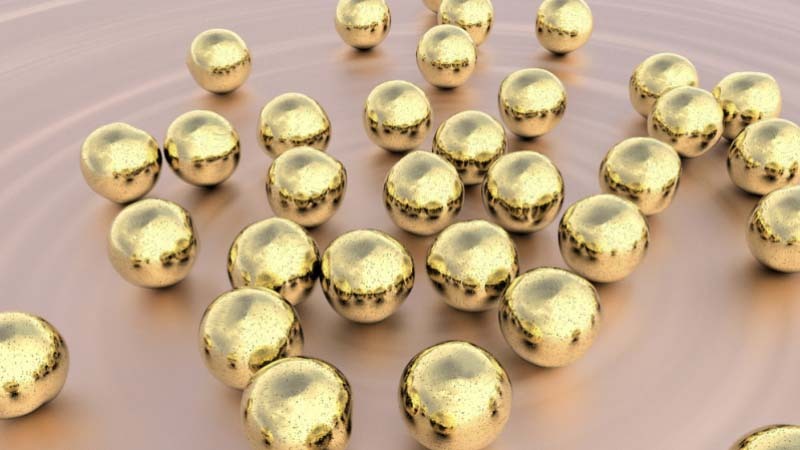 The new research looked at biocompatible gold nanoparticles combined with surfactants in the formulation of nanomaterials. The findings are in a paper published in the June 26 issue of the journal ACS Nano. In nanotechnology’s infancy, toxicologists hand delivered nanoparticles using pipettes for exposure to zebrafish. Based on that approach, Hutchison and OSU co-author Robert Tanguay had found that the widely used mix of inorganic nanoparticles and surfactants, individually, were not toxic to the fish. However, they found, the automation — using inkjet-printer-like devices to rapidly inject materials employing small amounts of surfactant to control the size of the delivered droplets — brought an unforeseen change. The mortality among the embryos first emerged as the researchers used the surfactant polysorbate 20. Results were similar using polysorbate 80 and sodium dodecyl sulfate. Surfactants are compounds that reduce surface tension in liquids and other substances to improve mixing. Polysorbates are surfactants and emulsifiers commonly used in laundry detergent, suntan lotions, cosmetics and ice cream. The discovery was made using a technique known as diffusion-ordered NMR spectroscopy, an adaptation of nuclear magnetic resonance that reveals how particles diffuse in solution. Movement slowed as increasing amounts of the surfactants assembled on the outside of the gold nanoparticles. The result was increased uptake and toxicity in the zebrafish. The National Science Foundation and National Institutes of Health funded the new research. The earlier work was done under the Safer Nanomaterials and Nanomanufacturing Initiative funded by the Air Force Research Laboratory through the Oregon Nanoscience and Microtechnologies Institute. The NMR technique could be used as an early rapid-screening approach that would allow industry to assure safety by reformulating their products before large investments have been made, Hutchison said. Hutchison and Tanguay are internationally known for pioneering the use of green chemistry, also known as sustainable chemistry, in designing nanoparticles. The technique uses molecular design principles to produce safer chemicals, reduce toxicity and minimize waste. A new study sheds light on the properties of these nanostructures. First “center of excellence” for new MIT.nano facility will focus on novel detectors and imaging systems.